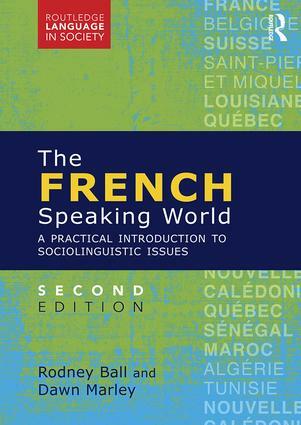 The French-Speaking World is an accessible textbook that offers students the opportunity to explore for themselves a wide range of sociolinguistic issues relating to the French language and its role in the world. This new edition has been fully revised to reflect the many political and social changes of the last 15 years, including the impact of technology on language change. It continues to combine text with practical exercises and discussion questions to stimulate readers to think for themselves and to tackle specific problems. The French-Speaking World is the ideal textbook for undergraduate students who have a sound practical knowledge of French but who have little or no knowledge of linguistics or sociolinguistics. Rodney Ball was previously Senior Lecturer at Southampton University.